Belinda joined the Century Park Pain and Health Clinic team as a Certified Acupuncturist and Registered Massage Therapist in 2008. She trained in Acupuncture and Traditional Chinese Medical Science in China, graduating in 1990. 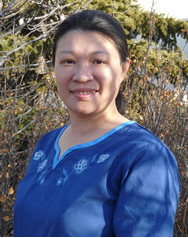 Belinda then completed her Certification of Acupuncture Safety and became a Registered Acupuncturist, as well as Registered Massage Therapist, in the province of Alberta. Between her practical experience in clinics in China and her time here in Canada, Belinda is an extremely capable practitioner, able to treat a wide variety of muscle, joint, and bone issues. Call our Southside Edmonton chiropractic office today to find out how Belinda can help you!